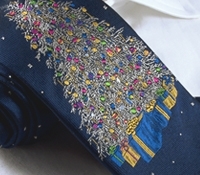 Our newest handsome jacquard woven silk neckties will make your holidays brighter. 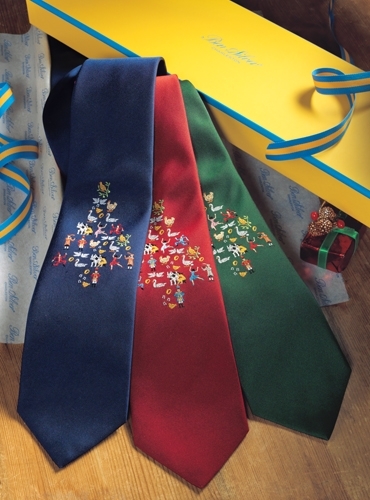 Beautifully woven in crisp detail, the elegant rendition of the 12 days of Christmas will bring smiles to every face! 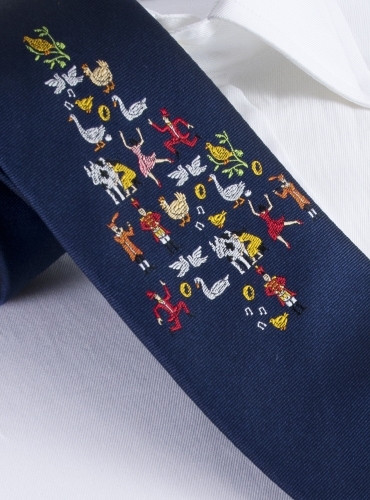 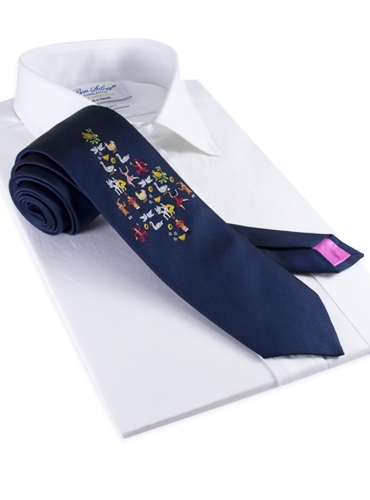 12 days of Christmas ties, shown here in B- navy. 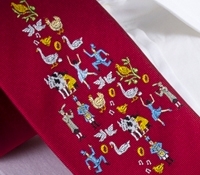 Also available in A-red; C-holly.